The perks of shooting out the whole night is that you don’t need to wake up early to catch the sunrise ! 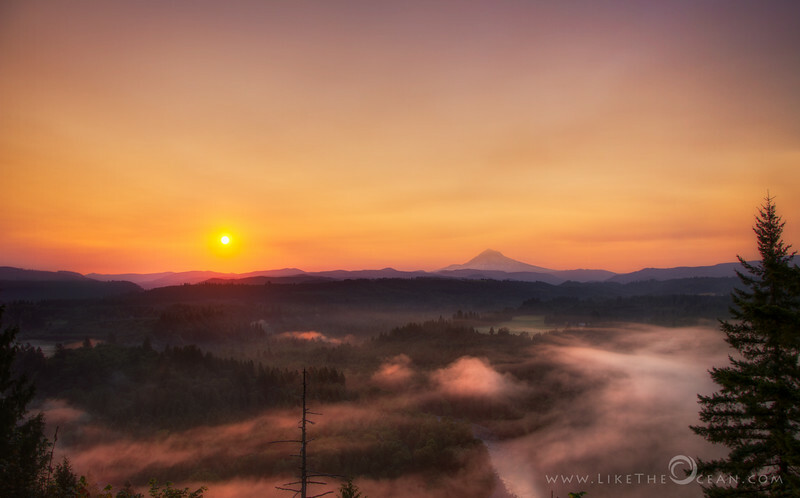 After chasing the perseids over a night, it was well worth stopping by at Jonsrud Viewpoint. With a view like this, just a few steps from the parking, this view never disappoints ! It was quiet cold for a summer morning, the was sun coming up in the horizon and kissing the valley with its golden light. And as if to respond the blanket of fog started rolling, without haste to reveal the Sandy river below. This is what I saw, as I walked out that mid summer early morning !! !